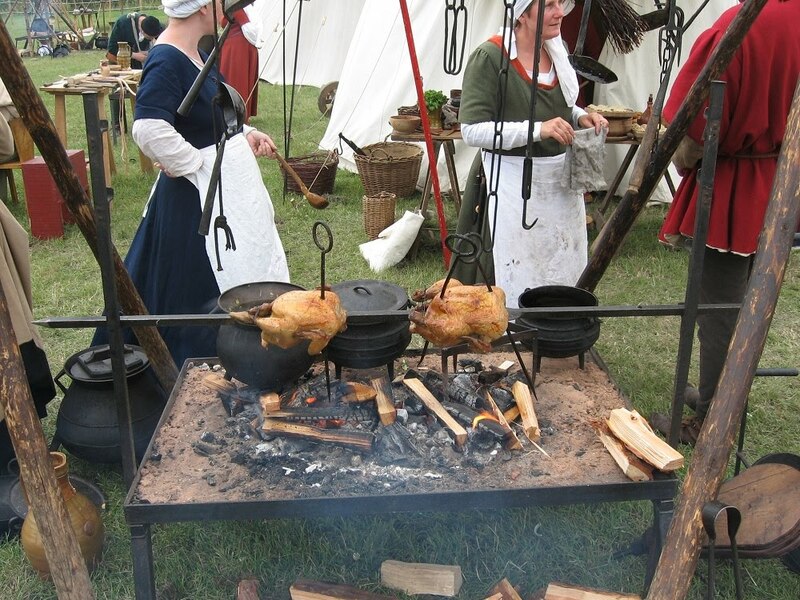 Festival of History is English Heritage's annual weekend packed with living history, re-enactment and partnership organisations. Military history is a favourite with the visitors and a core theme throughout the weekend. 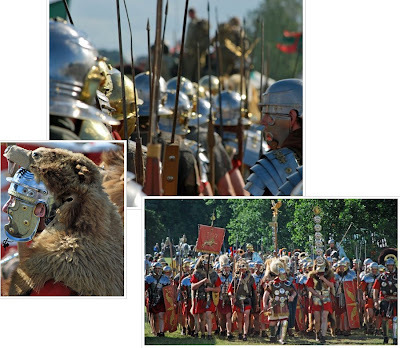 The living history displays and encampments are full of military costume societies, regiments and groups, and the arena displays feature warlike action from Ancient Rome to World War Two. 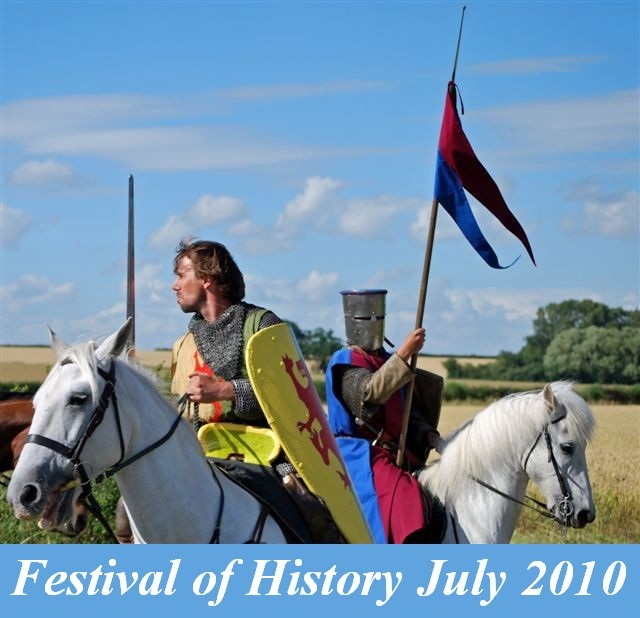 For the Ancient and Medieval enthusiast, there is one of the largest Roman displays of the year, together with Normans, Crusaders, action from the Wars of the Roses - as well as the ever popular Tournament and Joust. 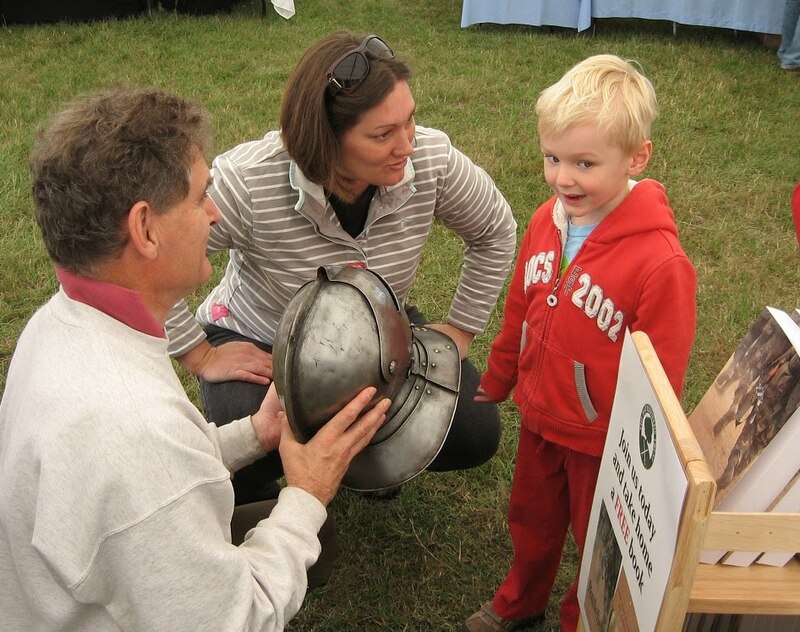 Fresh from the WOTR Battle of Northampton, I was helping out on the Battlefields Trust stand, publicising the work done protecting and preserving our military heritage sites and recruiting new members. The Battlefields Trust is, of course, behind the crucial work done to clear up the historical riddles surrounding the Battle of Bosworth. 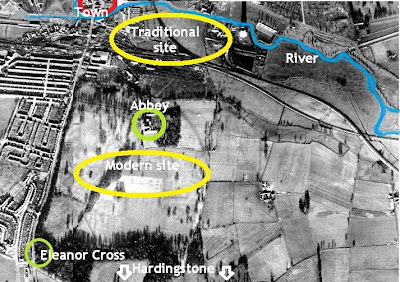 A key objective of the Trust is to protect England's battlefields from motorways and developers, and fully half the 'at risk' list falls within the Society of Ancients remit. 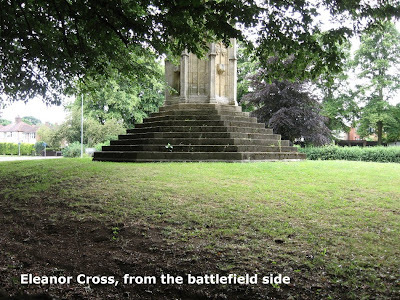 The Battlefields Trust needs support in membership, donations and campaigning. 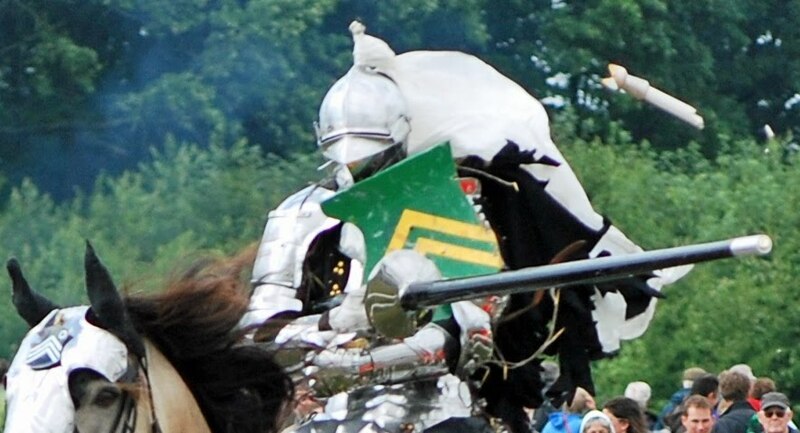 Activist James Parker will be raising money by attempting the Great North Run in medieval armour, and would appreciate your support - you can find a 'donate' button by following this LINK. As usual for this event, a wargames tent was provided manned by the Phoenix Club of Rushden, and with the support of Warlord Games - this year the feature game was English Civil War (using Johnson and Priestley's Black Powder). And Claymore and Britcon come up in August. A busy summer out and about. Labels: Battlefields Trust, Festival of History, History Live! It all passed off appropriately. Sober and respectful, but with touches of characteristic irreverence and humour. 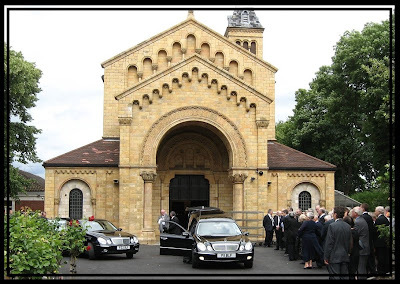 I had travelled up to Manchester to offer condolences on behalf of the Society of Ancients, and to share a few moments of reflection and reminiscence with friends, family and fellow enthusiasts. 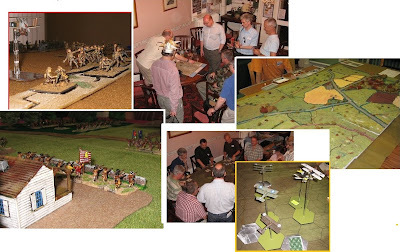 The formal stage was a humanist service with reflections from family members together with some memories and precis of Paddy the Historian and Wargamer from Tim Cockitt. I spent some time over a coffee and a drink talking to former Slingshot editor Ian Greenwood, with whom I have had little contact since he dropped out 20 years ago. Ian was very much a Griffith disciple, and brought many of Paddy's wargaming or historical challenges directly to the Society's readership. Controversial though some of this was, Greenwood's characteristic mix was what re-engaged me with the Society and its activities (indeed, it was Ian and former President Roman Szwaba who first suggested I should allow my name to go forward in the Committee elections of 1988 ... that's another story, so they say - and a very long one). I first met Paddy through the SOAC events Ian organised at Knuston Hall (a series of sort of Ancient and Medieval COWs that ran on well into the 1990s, latterly with myself and Ian Russell Lowell at the helm). 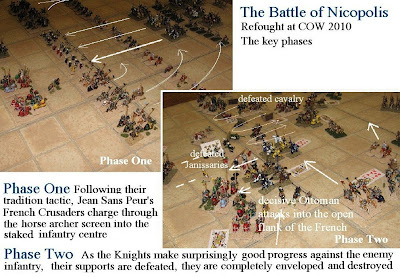 Paddy's often sprawling games were full of ideas, if, sometimes, brilliant and annoying in equal measure. It is impossible to imagine wargaming the way it is today without the great jolt it got, called Paddy Griffith. And without the initiatives he launched and the inspiration he gave, it is impossible that I would have developed the circle of much valued friends and accomplices that have kept me going over the last 20 years. Our sympathies and support go to his wife, Genevieve, son Robert, and their families. I understand there will be a more comprehensive and inclusive memorial event organised in the coming weeks. Meanwhile, we mourn the passing of a unique enthusiast and indefatigable friend. Someone who made a difference. Week off/week on ... then COW arrives: another full weekend - well, the 'full' weekend. Friday through to Sunday afternoon ... a continual choice of games, workshops and discussions covering all periods and styles of wargame. 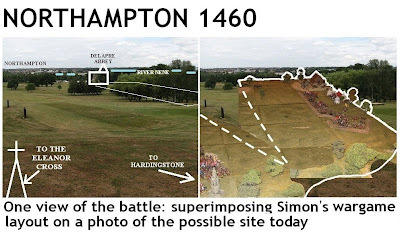 First up, what has become a regular event these days, a battlefield walk or off-site visit somewhere in the East Midlands (and justifiably 'on the way' for those travelling in): this year, coinciding with the 550th anniversary, and a conference next week, a medieval choice - the Battle of Northampton. 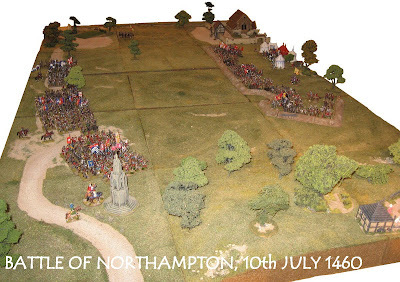 Northampton - July 10 1460 - March, Warwick and Fauconberg (Yorkist) defeat Buckingham and the King (Lancastrian) through the treachery of Lord Grey of Ruthin (changing sides when the Yorkists attack). The Lancastrians are outnumbered 2, maybe 3, to 1, and choose to defend in a prepared artillery position just out side Northampton. The guns don't work due to the waterlogging of the position, and Grey helps the Yorkists into the fortification in his sector. It is a decisive victory and the last where the Yorkists professed any kind of loyalty to the king. 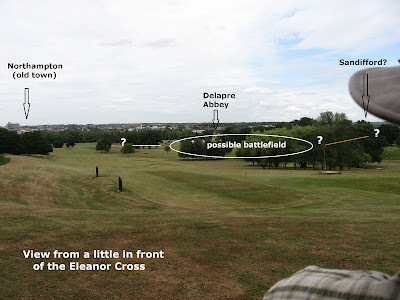 Northampton is one of those battles where we don't exactly know where it took place - just south (or south east) of the town, in the meadows near (or right next to) the river, between (though some feel not directly between) Delapre abbey and the Eleanor Cross on the London Road. Somewhere under the appropriate meadows and golf fairways lies a medieval battlefield. 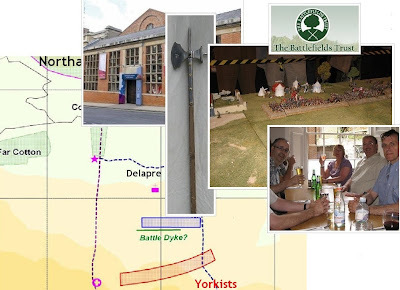 We had a walk around, and an interesting series of explanations from Mike Elliott of the Battlefields Trust. I had not walked up to the cross to view the possibilities before (and I may have more to say after the upcoming conference). This year's COW had a sad start due to the loss of the conference and movement's founder, Paddy Griffith, but a week before. He was celebrated, honoured and toasted, before people cheered up a bit - and got on with games both serious and silly in the spirit he had passed on to people ... and of which, even in the hour of his mourning, no doubt he would have approved. 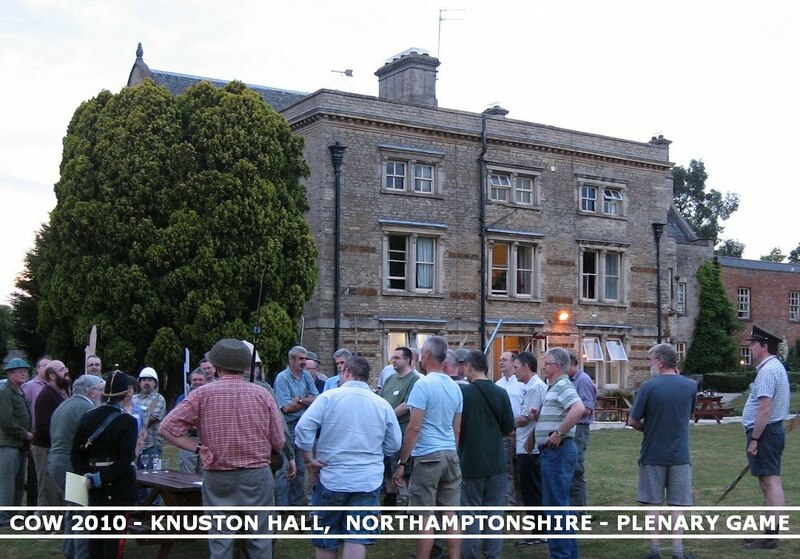 The plenary game, on a beautiful Northamptonshire evening, played on Knuston's main lawn, was a 'live' multi-participation version of WD's 'World War One in Three Turns' (during which the participating bodies learned how to deal with the realities of the new warfare). 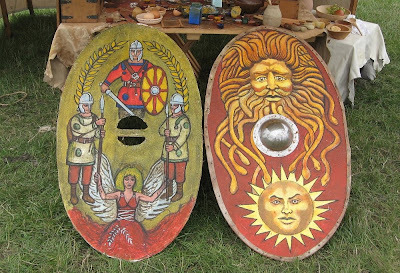 Of course it is all a bit simplistic, and, out on the lawn, more than a bit laughable ... but that is the point. To start the weekend by getting everyone mixing, to break a few rules about formality, and to reinforce the rule that there are no rules. 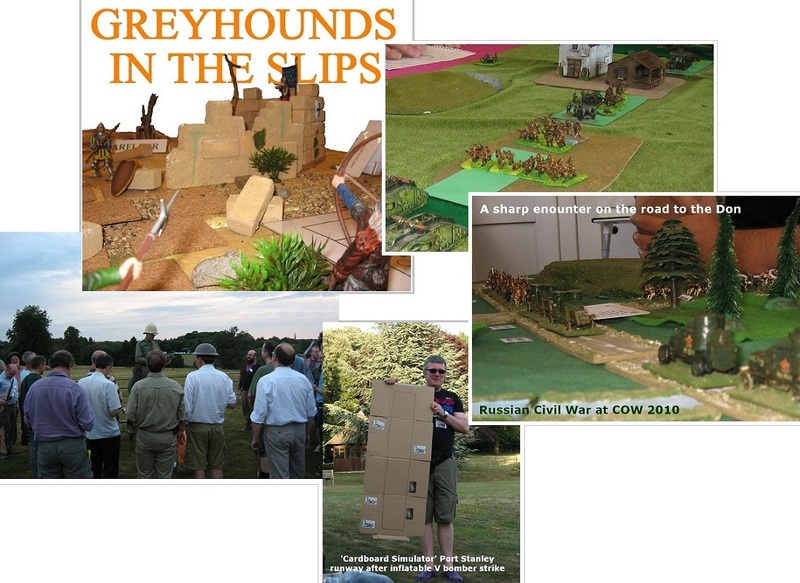 Amongst the fun games that followed, Graham Evans reprised 'The Elephant In The Room' which debuted for SoA at Campaign, earlier in the year (and which draws upon the Anno Domino combat system also featuring in this year's show game 'Greyhounds In The Slips'). 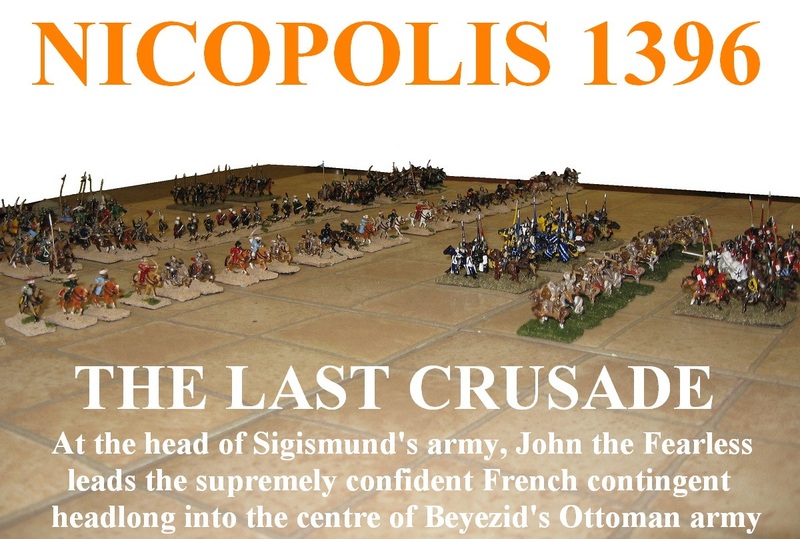 'The Last Crusade' was Ian Drury's treatment of the 'Battle of Nicopolis'. 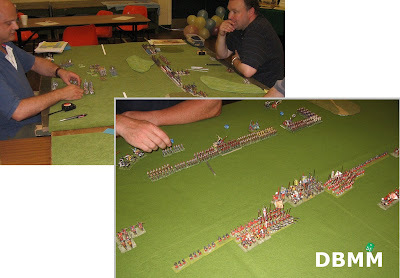 Using a version of Richard Brooks' Middle Aged Spread that was tweaked to include horse archers, the battle was played on an array of squares with 15mm figures. 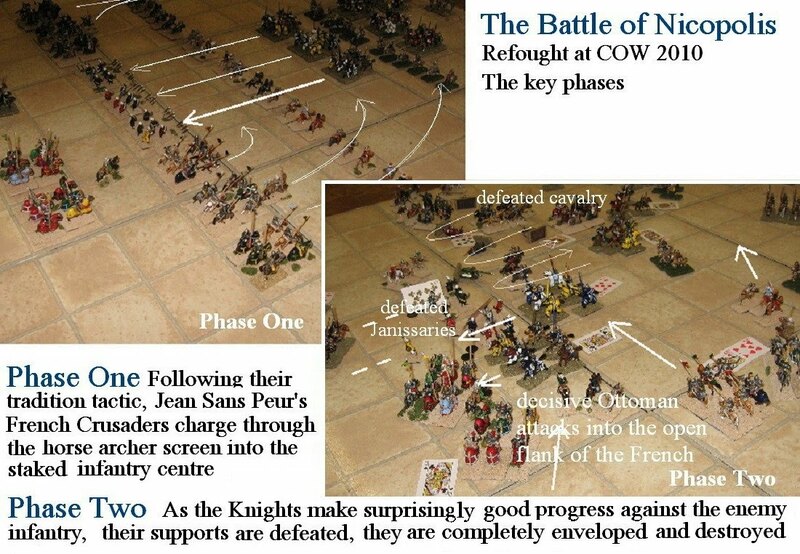 You will need a membership of WD and a copy of the Nugget to get a full account of these rules, but activation is by square in a sequence determined by playing cards which also limit what the unit can do with that move. Meanwhile, back with the operational game (the Slave Revolt), in which, this time, I took no part at all, Spartacus and his gang really were running riot. 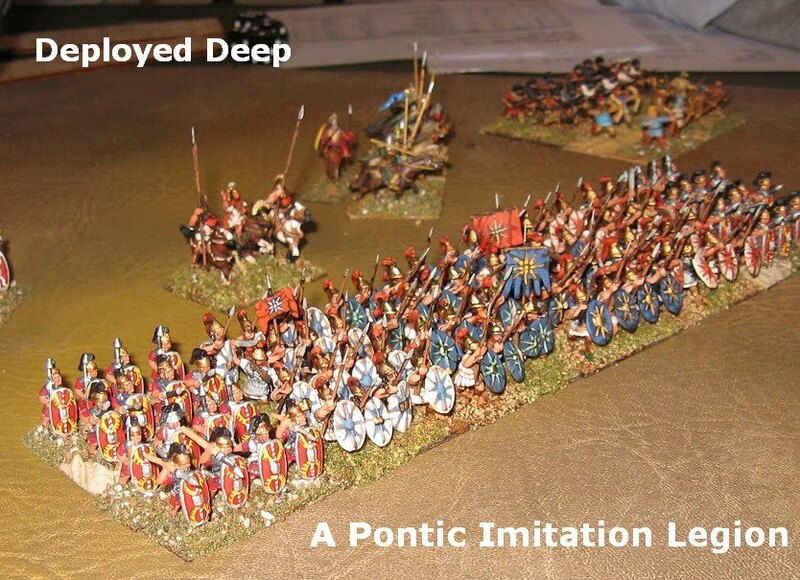 They were taking on our ad hoc armies, defeating them and killing senators ... even the great Pompey Magnus somehow was toppled. 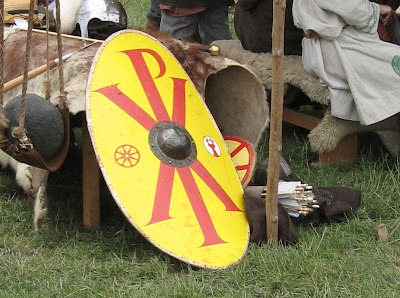 That said, after a great battle of mutual annihilation, Rome was intact (but down to a few raw legions) but the remaining rebels and leaders were using their victory to leave her lands and head for freedom and homelands. 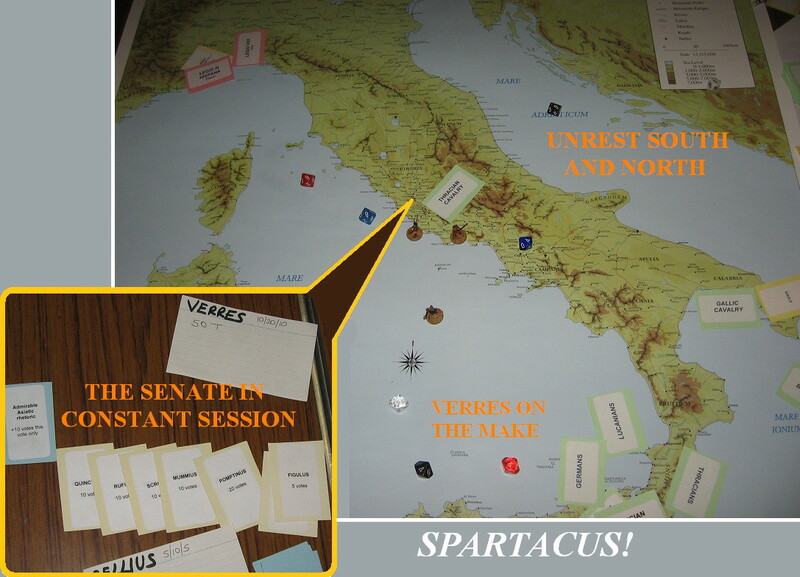 Impoverished and depleted, the eternal city had survived a battering the match of Hannibal's. 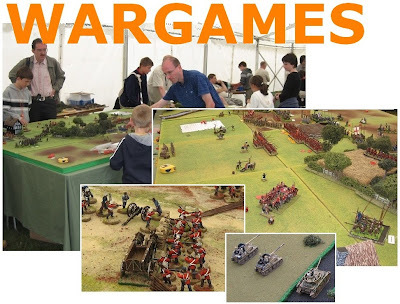 By the late evening, Greyhounds In The Slips came out, the excellent WWI aerial combat game was into its nth rerun and John Curry was unboxing commercial wargames from yesteryear of the kind you usually only see on a James May nostalgia show. 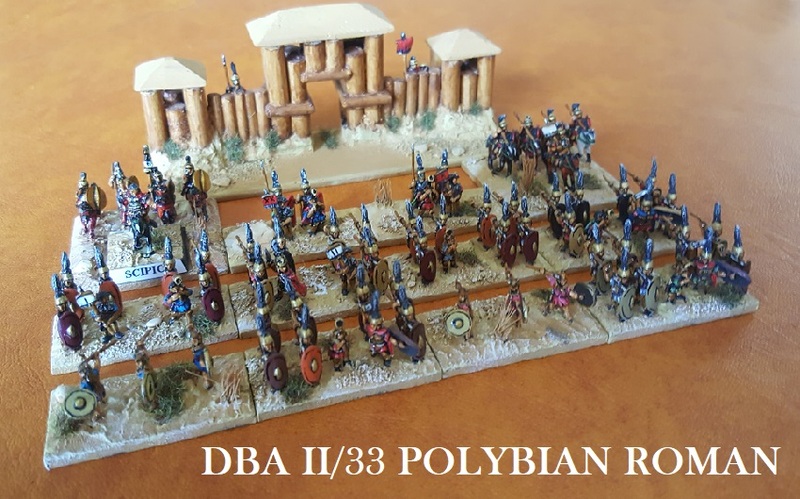 After a morning spent clashing with Tsarists on the Don (see elsewhere), after lunch we had another bash at Zama and my Double DBA scenario ... This was a great joy as Phil and Sue Barker came along, and did much of the legwork (explaining the game, expanding on tactics and outcomes etc.) 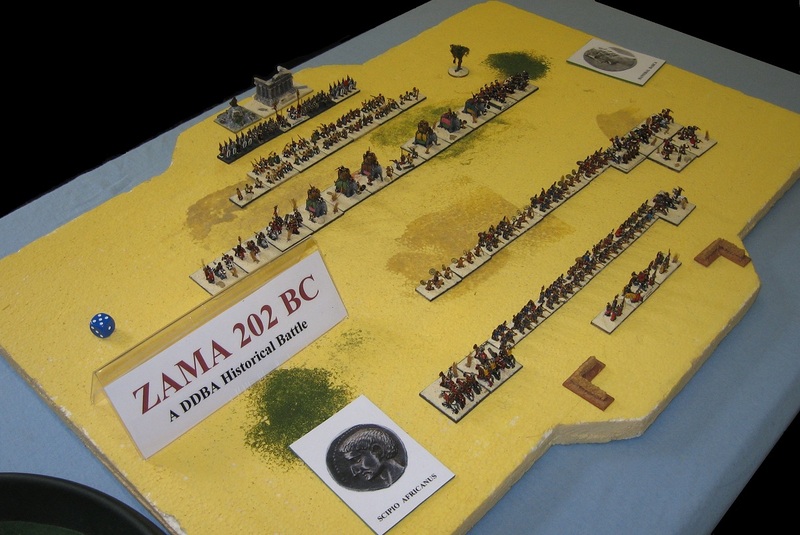 pretty much leaving me to do the Zama bits. Excellent. 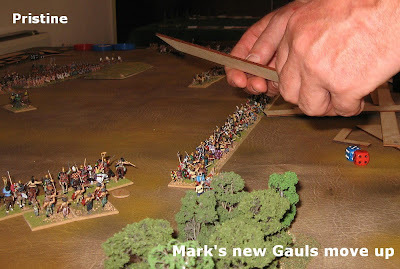 In this outing Hannibal made a really good go of the elephant attack, held up Masinissa's Numidians whilst getting right into the Roman reserves on the other flank. It was a tough battle, and resolved itself narrowly for Carthage in a slog out of the veterans. 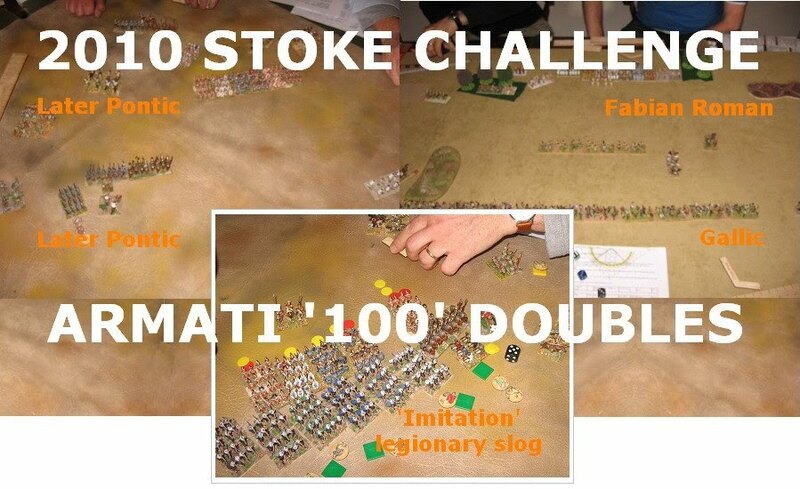 This is a theme to be explored further. 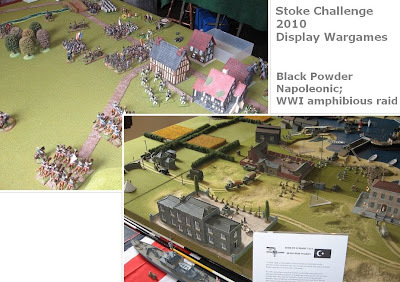 Elsewhere, the cardboard simulator had become an inflatable v-bomber attack with slapstick refuelling mechanisms, traitors had been shot at dawn, wind up toy tanks had crossed the trenches and award winning designers had showcased their latest designs. All in all, great weekend. 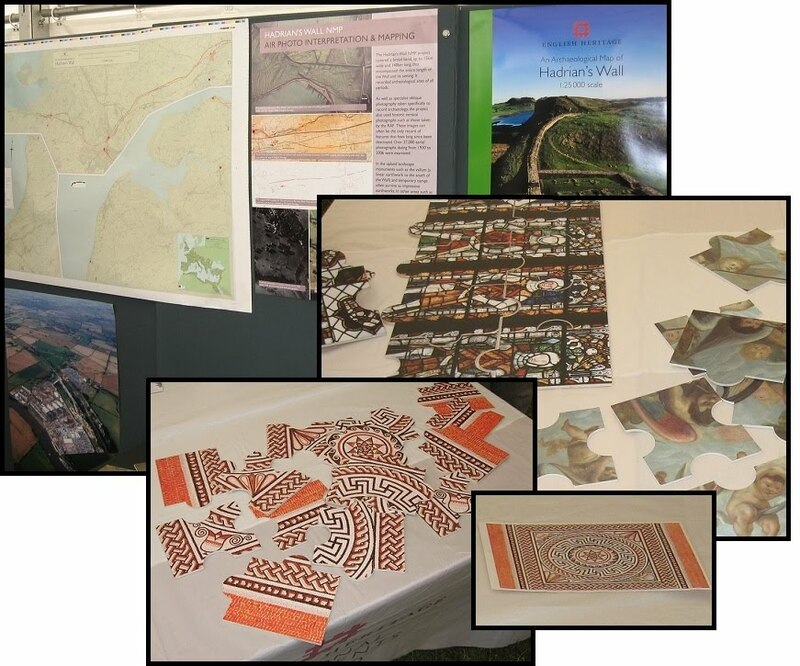 Something to recover from and a lasting tribute to the inspiration and personality of its founder Paddy Griffith. I understand places for next year's event are already disappearing.